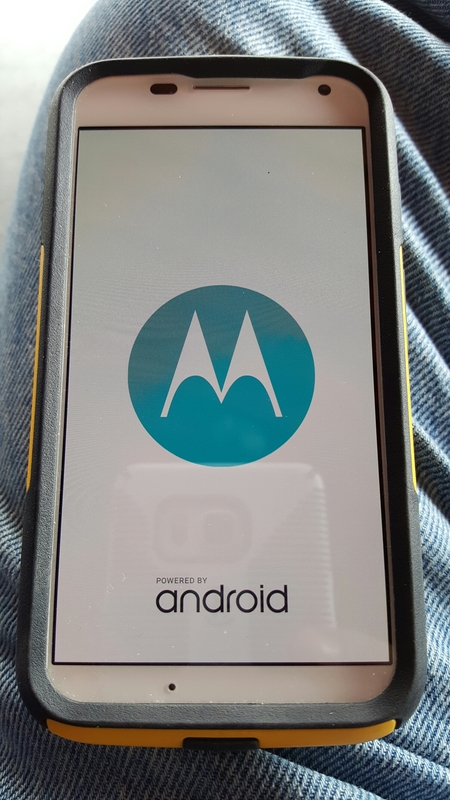 Moto X 1st Edition Part 2 -Efficiency! Moto X 1st Gen on Sprint. One of my better smartphone experiences. Efficiency. Moto X turned out to be a very likeable device. Once it was put into active use one ignores the cost or why purchased and many other factors. How the device handles counts after that. 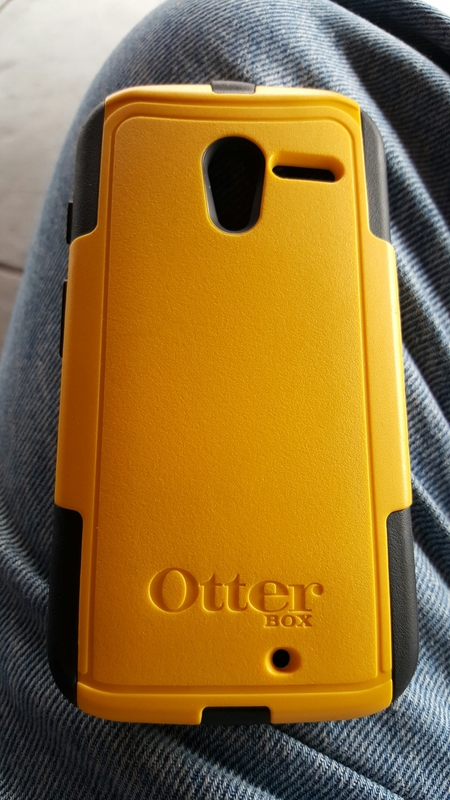 It’s looks matter also but I was lucky to find OtterBox Commuter for my Moto X (in yellow also as in sports or Sprint carrier color) and the device hides inside the case (shown below) hence the looks can improve or be neutralized. 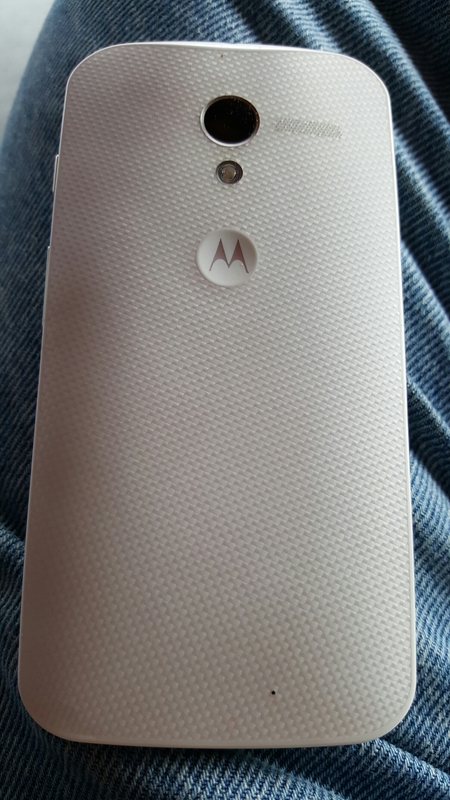 Moto X looks OK by itself. Moto X handles itself very well. 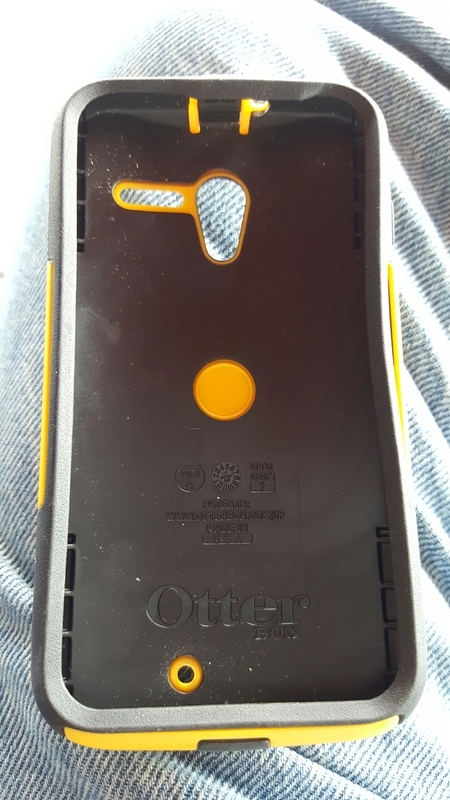 The screen is small but doesn’t look or feel small when looking at it. The brightness is impressive and memorizes the viewer forgetting how small the screen is. The buttons are well placed and form factor is better than average. What I have always liked about Moto X has been it’s handling of software. It has never crashed on me. It always has enough memory for everything. I receive too many notifications and messages and installed most of my active apps here and Moto X has had no issues nor change in performance. I have had bad experiences with small phones enough times to expect upsets caused by all small phones and Moto X is smooth. It never fails to have finesse in all operations. The 16GB memory may not be much but saves soany headaches. The only complaint I have is loading at startup and that is not Moto X fault. Originally it was great but since was upgraded to 6.0.1 (I think. I am lazy to check again) Moto X needs about three minutes to load OS and apps and then go. That is unusual and I ignore it as a flaw. The phone is awesome. I can fill pages in praise of a phone I like a lot so stop here by saying Moto X is a smooth (efficient) device for my purposes.